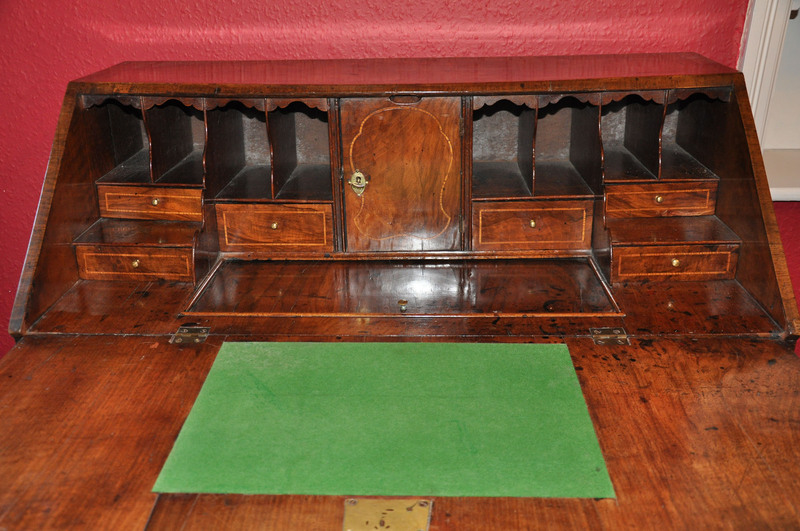 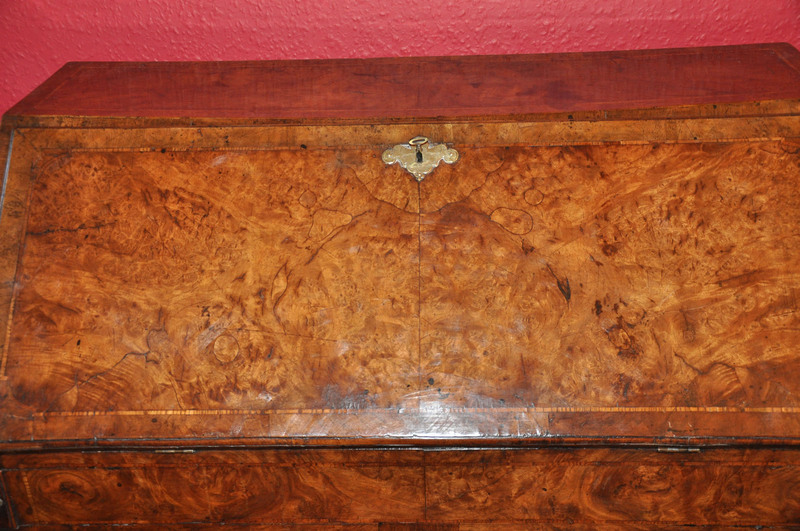 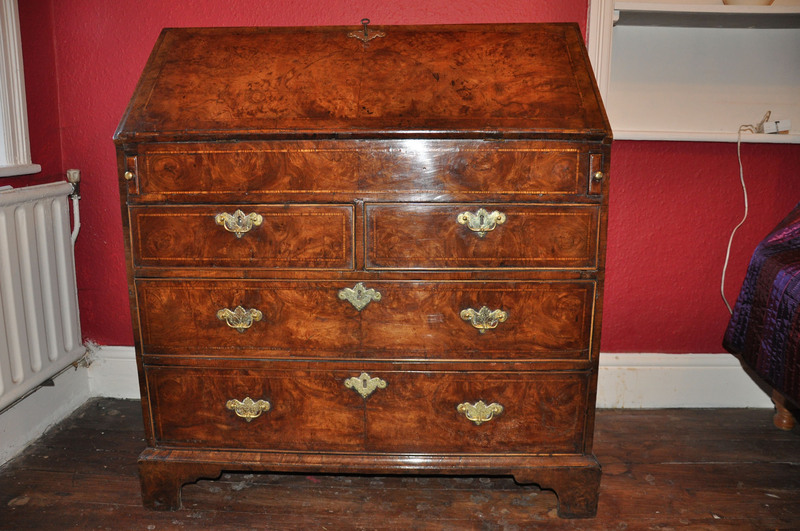 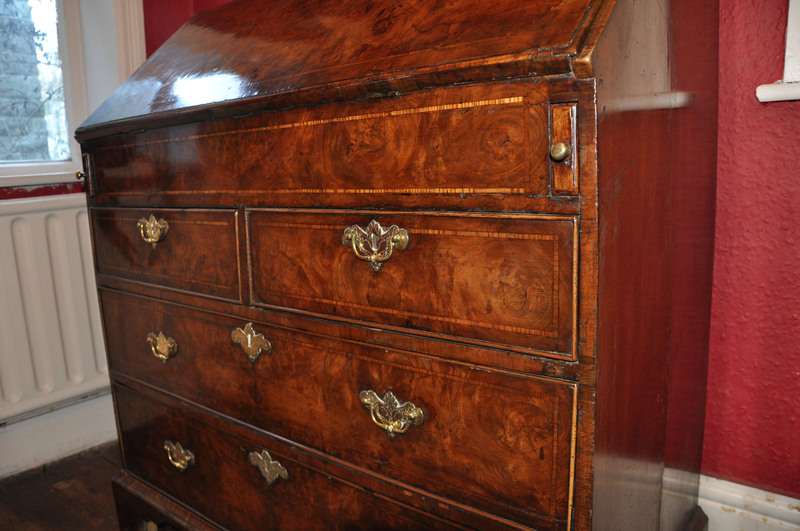 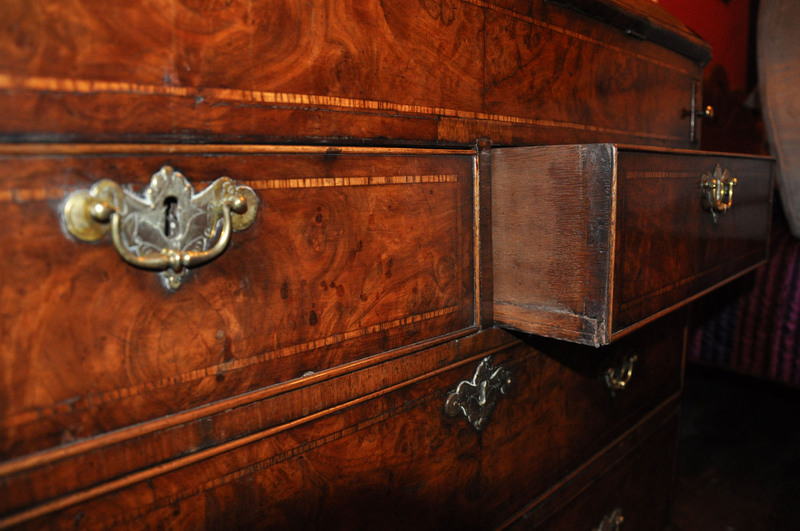 Early 18th century burr walnut bureau. 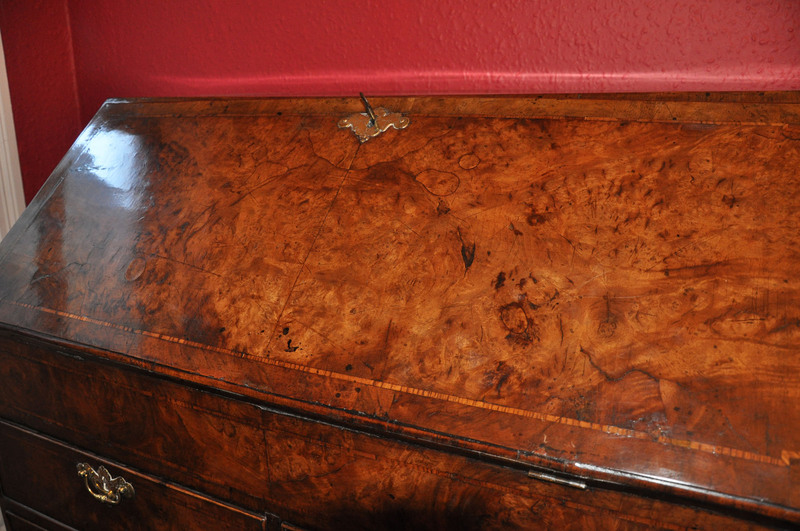 Lovely honey colour, inlaid with cross grained ash banding. 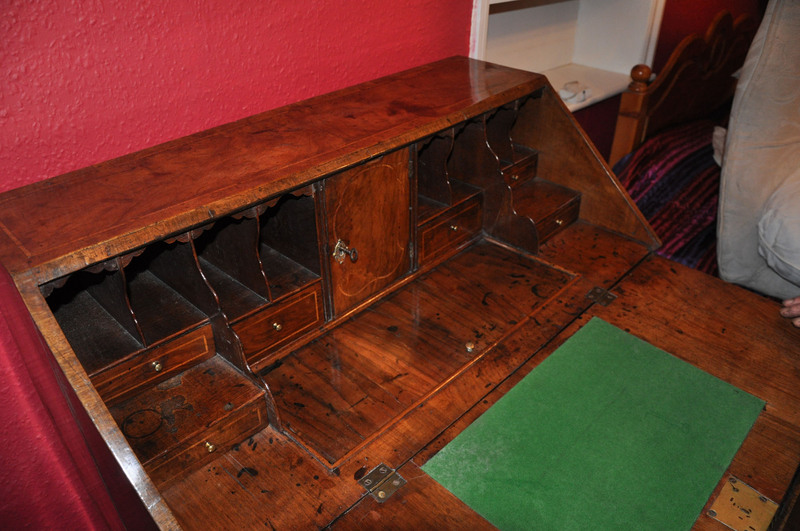 Feet restored to a high standard good shaped and stepped interior with well, original lock to the fall with key ,excellent clean oak linings, draw handles replaced.